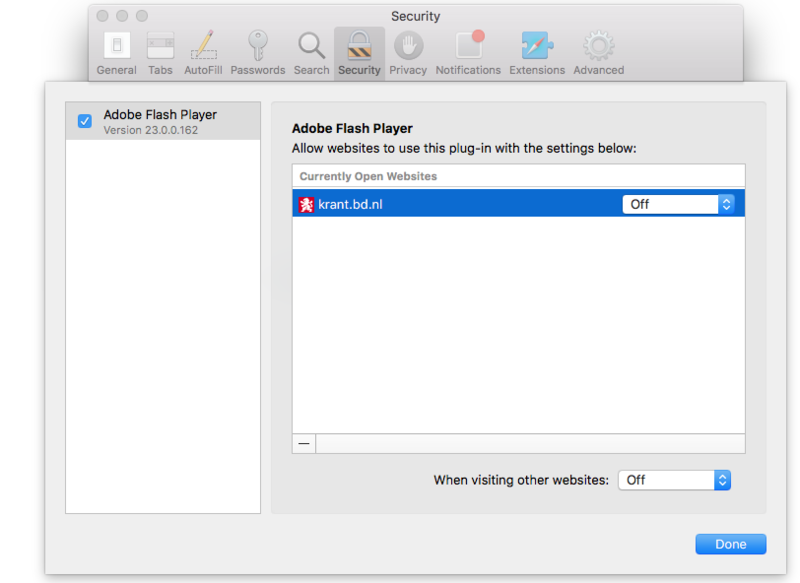 With the introduction of the Safari 10 browser for Macs, Flash is no longer per default supported. This means that if you are using the Visiolink Flash solution to display your publications on web, you should upgrade to the new HTML Desktop solution. This will guarantee your readers the best possible experience when reading your publication. Please contact Visiolink to start the upgrade process. What happens if users opens a publication in Safari 10? Readers opening a publication after having upgraded to Safari 10 will get redirected to the Device Fallback solution - a very simple e-reader optimized for mobile device usage. 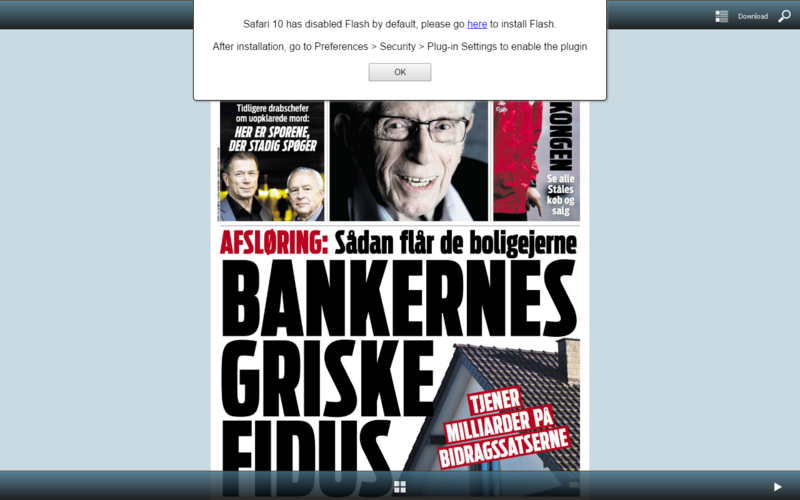 Here a popup will hint how to install the Flash plug-in and activate it.